Over the past few months, Sydney’s weather has been unpredictable. The lack of rain throughout June to October has become very worrying for many. Rainfall patterns throughout Sydney in 2017 have been minimal. Reports suggest that not only has the average rainfall been slowing down, but the average temperatures and number of dry days are increasing rampantly. But that’s not only it, Australia’s weather has also been turning extreme and violent. Although the weather was previously extreme, the intensity of the extremeness keeps on increasing day by day. By tracing the previous weather patterns that affected Sydney over the last few decades, we can safely say that extreme weather conditions are a norm in Sydney. Let’s go back to July 1975. In that winter, Sydney experienced one of its fiercest dry spells that had a significant environmental impact. Although Sydney was affected the most, other cities in Australia were also not spared from experiencing the effects. The dry spell of 1975 raised a lot of talk but it wasn’t anything as compared to what happened in September this year, on Wednesday the 13th to be exact. According to the Sky News Weather Department and many other press rooms, the weather reached maximum temperatures of 31 degrees, something that hadn’t been experienced over the last four years. It’s a very worrying figure considering Sydney was still in spring. Along with this heat came the lack of rain. Throughout the whole month of September, Sydney received less than 1 mm of rainfall which means humidity was at an all-time low. Such weather extremities characterised by extremely high temperatures and very low humidity resulted in natural fire breakouts. Confirming the increasing threat of veld fires due to the extremely high temperatures in Sydney was an article published on ABC. The broadcast company confirmed that the rate of bushfires occurring in Sydney is going to increase at an exponential rate, particularly for coastal cities like Sydney. 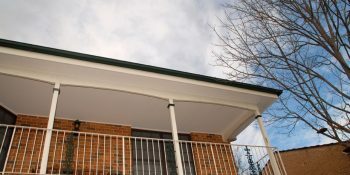 How can you protect your home in Sydney from extreme weather? These recent extreme weather patterns are suggesting Sydney needs to be prepared for the bushfire season ahead. The government recommends several ways to protect your homes from bushfire. It includes maintaining a clean guttering system. 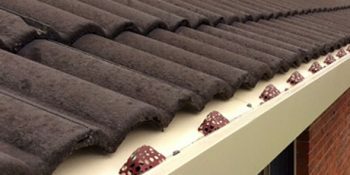 Protect your home by ensuring your gutters are cleaned. Easy Fall Guttering has the right product for your home. 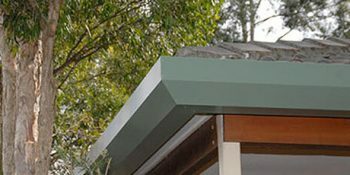 Easy Fall ‘s innovative solution makes it easy for you to keep your gutters clean, lowering the risks for bushfires. The EASY FALL™ Leaf & Ember Guard has been independently tested by the CSIRO according to AS/NZS 1530.3:1999. Results were ZERO for Ignitability, Flame Propagation and Heat Release. Find out more about maintaining your guttering system at home. Call us on 1800 897 444 for any enquiries.